headus has the latest Cyberware WBXU full body scanning system. The WBXU captures the full body in a single 17 second scan, the four cameras measuring both geometry and colour from all directions at once. Because of the high scan speed and instant feedback, multiple scans are usually taken so that the best can be selected for further processing. 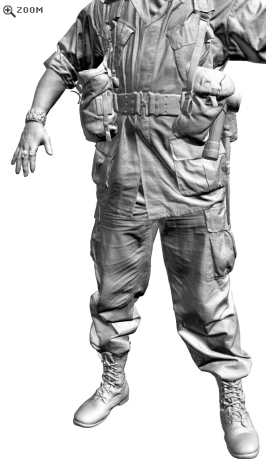 Often additional scans are taken to capture missing details, especially if the clothing is multi-layered, such as a long coat or jacket over other clothing, or if the subject is in an "action" pose. The data from these extra scans is then merged into the target scan as part of the editing process.